Segmentation may seem like a hassle that you can live without but you would be wrong! Segmentation is a vital marketing strategy which takes your big list and divides it into subsets of users, interests or countries that have similar needs, interests, and desires in order that you can design specific strategies to get them through your funnel and across the finish line. The more granular you get with your segmentation and targeting the more money you will make. Imagine having a one-to-one conversation with your customer where you can ask them what they want and give it to them exactly how they want it – that’s what you want to aim for. Is it easy? No. But is it worth it? Hell yeah! And we have just the strategies and tools to help you. Basically your model should be to take your funnel and within that create tons of micro-funnels. Let me walk you through it. Every campaign starts with a hook. You identify your customer, show them you understand their pain, tell them wouldn’t life be great if …., then offer them an amazing solution. Of course you will not just have the one hook, you will want to test several and see what one works and then constantly optimize until your conversion rate is 100% – in other words you never stop optimizing! So you have several hooks. Now you want to look at your landing page and split test to see what landing page works best for each hook. Remember the message on your landing page should match your hook. Give the user exactly what they are looking for. Have a clean, clear, consistent message from start to finish or they will say ‘this isn’t what I’m looking for’ and fall out your funnel. So you have different hooks, each hook has several landing pages and you know your job is to test which hook/landing page combo is going to work best – keep the winners, dump the losers. But there’s another layer to add to this – traffic source! You will want to test which traffic source works best with each funnel. You may find the Twitter people respond best to Hook 1/Landing Page B whereas Google Adwords people respond to Hook 3/Landing Page E but hate Hook 1/Landing Page B. You don’t know until you test. If you’re not testing then you are wasting money promoting the wrong message to the wrong crowd and that’s just stupid. Don’t be an idiot and waste your money, that’s what everyone else does and then they complain about not getting the results they want. Be smarter than that. So, we’re still only at the top of our funnel and you can see we already have several micro funnels with a different message in each funnel for a different traffic source. 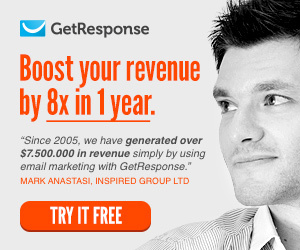 You are not going to do all this work and then fail to capture an email on your landing page! That’s an order!!! If your messaging is consistent from your hook, ads and landing page then you will be giving the user exactly what they are looking for so there’s no reason why they shouldn’t want to opt-in to your offer. If they’re not, that’s a sign that something has gone wrong and you need to test some tweeks. As a rule, only test one thing at one time. So maybe have your call to action in a different location, change your headline or change your image. See what difference that makes before testing another element. Now they are in your funnel you want to keep them in their segmented groups as you engage them in your email sequence. Again you will want to split test which emails work and which don’t and continue to segment as you go. Divide your segmented groups further by who opens their emails, who clicks your links, who buys etc. You should always be giving the customer exactly what they want so if you don’t know then ask them. Use surveys and find out what they need so you can deliver it to them. And guess what – segment them into different groups based on their responses. Remember, the deeper you go with this process, the more money you will make. By now you will have masses of data about the needs of people on your list and their behaviors. With this intelligence you are able to filter them into new funnels and be able to predict their likely actions. You will also be able to take the people who didn’t buy and then either try a new message to see if that engages them or put them into a new funnel completely. If this all seems scary and completely overwhelming then don’t worry, I have a secret for you and it’s called AUTOMATION!!! We like GetResponse for managing your email list anyway, but their new automation feature does all the heavy lifting required for this process making it a great drag and drop simple solution for you. You can segment by behavior and then create an action based on that behavior. You can add tags to users and score them based on their actions so you can get really precise segments without having to do the work yourself. New customers will get a free 30 day trial so if you want to check it out click here. If you really want to see how your landing pages are performing you should get an account with Mouseflow. This is great. With Mouseflow you can see exactly what users are doing when then hit your page as it records their session. You can actually playback what they are doing as a video so you can see where they are scrolling, what they are clicking and when they are dropping off. As well as recordings you can view heatmaps to get a complete overview of your page and all other sorts of other cool data that is essential to your landing page optimization process. You can get a free account here. Tracking is essential. You need to know where people are coming from, what they are doing and where they are going otherwise you are simply shooting in the dark. Google Analytics is great. You should have it installed on all your pages and have goals set up so you can see who is going through your funnel. But, it’s not 100% accurate and as a result the data can be misleading. We recommend using either ClickMeter or ClickMagick or like us – both! Data is everything so as your business grows you will see the power of tracking and you will become obsessed! Either product works great so I would have a play about and see which one you prefer and just go with that. ClickMeter has a free starter account and ClickMagick has a free 14 day trial. I don’t care what one you use just use one!!! !